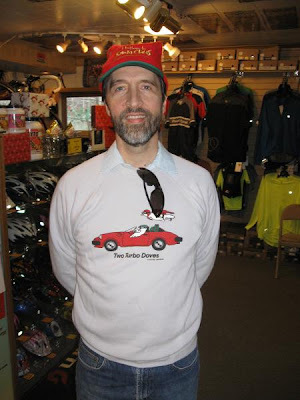 The Christmas Sweaters were out in full force again at Century Cycles this past Saturday for our Crazy Christmas Sweater Saturday gift give-aways! Not surprisingly, both Bob and Mike selected the "Define your life. 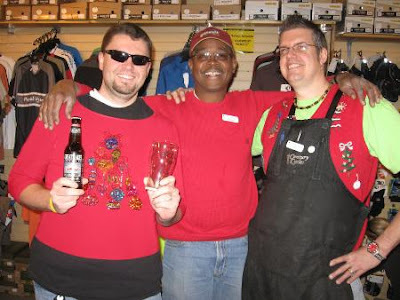 Ride a bike.tm" pint glass (along with a bottle of Great Lakes Christmas Ale) as their free gift. 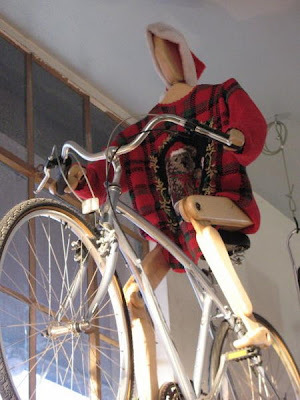 In Rocky River, even "Skinny Fred" got into the act, although rumor has it that he skipped both the beer and the coffee mug--how else would he keep his girlish figure?!? Join us this Saturday, December 19, your LAST CHANCE to wear YOUR Crazy Christmas Sweater into any of our stores to get your free gift (with any $10 purchase). Sorry, hope to be in NYC over the weekend.